Merry almost Christmas! Hopefully, you’ve got all your holiday shopping done and now we can focus on the food! 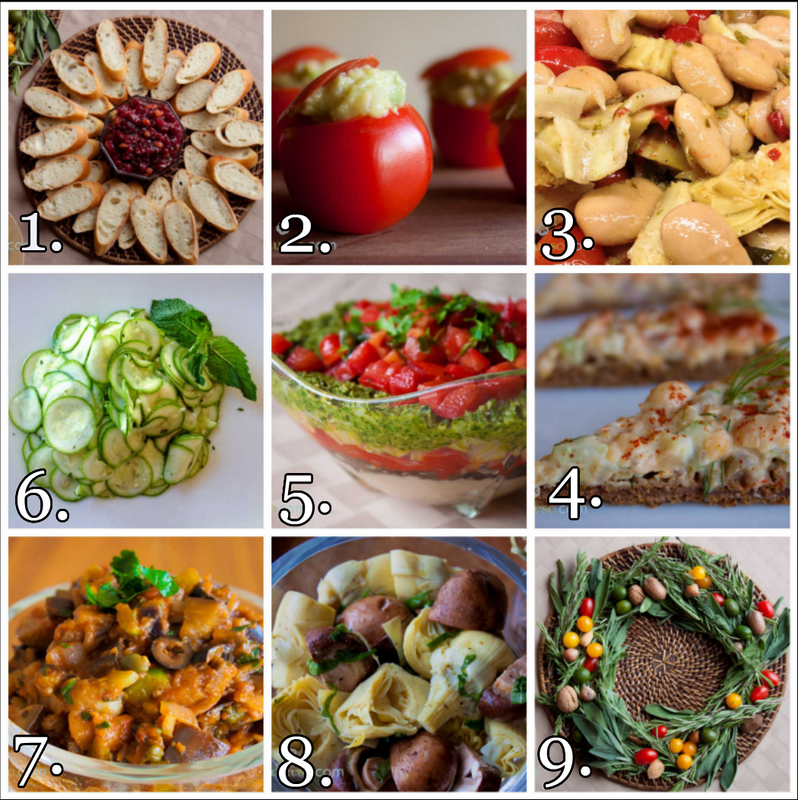 Whether you are hosting or you are brining a dish to your Holiday gathering, here is a roundup of recipes that will be sure hits! 1. Apple Cranberry Chutney! This dish will make your house smell like Holiday Heaven! 2. Avocado Stuffed Cherry Tomatoes! My Grandma used to make these and don’t they just look like little adorable ornaments?? 3. Gigante Bean Salad! Easy, light, and a perfect antipasti. 6. Zucchini Carpaccio! This raw crudo dish is packed with flavor! 8. Marinated Mushrooms & Artichokes! This is a great make ahead dish! The longer it sits, the better it tastes! 9. Antipasti Wreath Centerpiece! Did you catch me making this on Home & Family?